The first guest of the KROKODIL’s Writer-in-residence program in 2018, one of the most prominent poets from the Balkans, Nikola Madzirov, arrived from Macedonia. He is the 62nd author – guest of KROKODIL who resides in Belgrade. Nikola will perform as a special guest on the literary evening of poet Ana Ristović on Wednesday, January 17th at 7 pm in the framework of Polet’s (Cetinjska 15a) Stiholet Evenings, as well as within KROKODIL’s literary evening on January 24th at 8pm in the UK Parobrod, where he will talk about poetry, his own achievements and awards. Nikola Madzirov was born in 1973 in Strumica / Macedonia, where he has been living until today. He works as a lyricist, essayist, literary translator and editor. He is the coordinator of the international poetry network Lyrikline, responsible for Macedonia, and he was the editor of the poetry edition in the literary magazine “Blesok”. His poems have been translated into 30 languages. 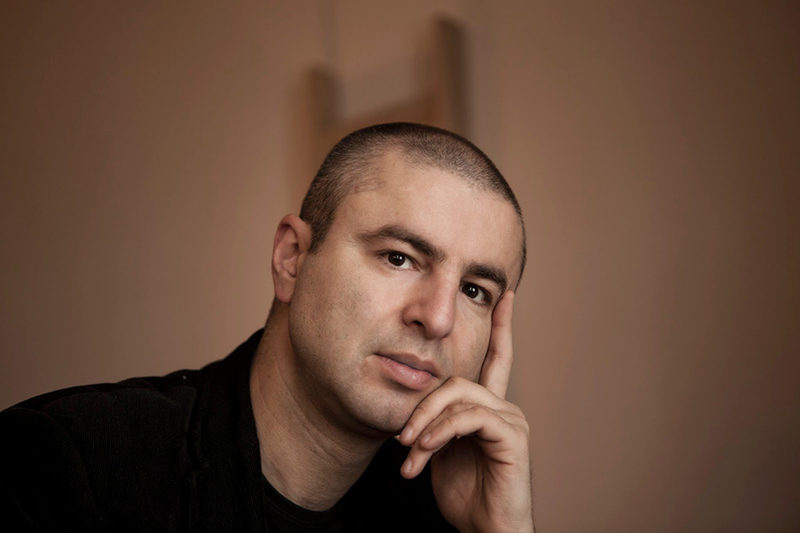 He has published a large number of books, recent editions are “Premesten kamen” (Skopje 2007), Nekade, nikade (Radovis 1999), Zakluceni in the city (Skopje 1999); He won the Prize for Eastern European authors Hubert Burda in 2007, and many national awards such as the „Braća Miladinov“, „Studentski zbor“, „Aco Karamanov“. Madzirov’s poetry examines both personal and cultural geography in order to trace the nature of our movement across those landscapes. His poems were published in magazines and anthologies of North and South America, Europe and Asia; He received numerous international awards and scholarships: “International Writing Program” (IWP) at the University of Iowa / USA; “Literarisches Tandem” in Berlin; “KulturKontakt” scholarships in Vienna; “Internationales Haus der Autoren” in Graz; “Literatur Haus NÖ” in Krems and “Villa Waldbert” in Munich. Contemporary American jazz composer Oliver Lake, who collaborated with Bjork and Lou Reed, composed music on some of the poems by Nikola Madzirov. The program was supported by the European Network for Literature and Books Traduki.